While receiving the freed Dapchi schoolgirls on March 23, Buhari had said the federal government was willing to accept the unconditional laying down of arms by repentant insurgents. He also said the measure would help the government save cost by channelling funds used in the war against insurgency to other areas. “It is proverbially said all wars end up in the boardroom. You can defeat people technically on the field but at the end, you must come to the conference room to resolve all issues ” he said. “So, if Boko Haram would lay down their arms and stop fighting and stop preaching their negative ideology, the country should be able to embrace them; welcome all of them so that they continue to live normal lives and be useful to the nation. The presidential spokesman described as unfair, allegations that the president is shielding herdsmen accused of killings. He said it has to take everyone at various levels of authority to shield the accused from the law. “The president controls only one layer of authority, what are the governors doing? Is the social media also saying that the governors are protecting the herdsmen from the law, are they saying the local government are also protecting them?” he asked. 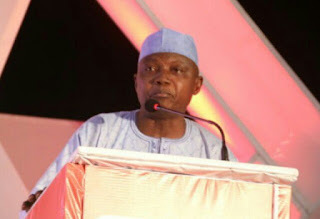 Shehu said the president “richly” deserves a second term in office.